The team responsible for leading the direction of the Running Club. As the treasurer, I have day-to-day responsibility for keeping track of the club's cash and bank accounts and sharing information with the committee so we can decide as a group how funds will be raised and spent. I grew up in the sport loving country of Australia but I didn't start running as my main form of exercise until my mid 30's, in fact the cross country at school meant it was a bad day (maybe something to do with the Australian heat!). As an adult I have always been active - from the 90's step class craze to body pump to netball but after my 2nd daughter was born it seemed so easy to just run! Much cheaper and quicker than joining a gym. So I am now a runner! I run because I really do love it! The off road, cross country runs are now my favourite. I love being out in the fresh air and that sense of achievement when you've run that extra mile. It also means you get to eat more food - which is another one of my favourite things about running. So now, 6 years after becoming a runner, I am stronger and faster than I've ever been especially after joining Mickleover Running Club. Such a friendly and encouraging group of people who welcome everyone. 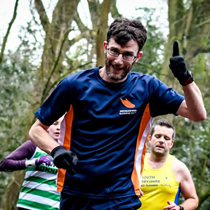 If you are just starting out or are a seasoned professional - we have some great running routes, we share running tips and generally have an enjoyable evening of running. I joined Mickleover Running Club in March 2018 having been repeatedly assured by Mrs Dolman (also a member) that I would love it. 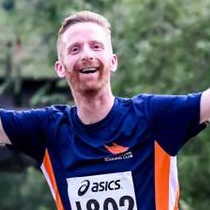 Although I had already decided that 2018 was going to be the year that I got back to fitness and ran a few 10k races, as a very infrequent runner for the past five or six years I wasn’t sure a running club was right for me. 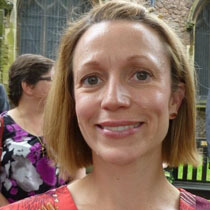 I was nervous about how high the standard would be and how I would be able to make the club runs work at my pace – just like many others who are considering joining a running club I guess. Well… I needn’t have worried! The club runs are structured so that no-one gets left behind, and you will struggle to find a friendlier, more sociable bunch of folks anywhere. I can just about remember running at school, many years ago, when we were forced to do cross country when the weather was too bad to play ‘proper’ sports! Maybe I associated running with some sort of punishment after that, but, like many people I came back to it more recently, primarily as something to help keep me fit. I’d probably categorise myself as something of a ‘fair weather’ runner, so joining MRC in spring 2018 acted as a catalyst to get out more regularly. It is far more encouraging to run on a dark, cold winter’s night when you know it will be part of a group of like-minded people, who will always help motivate one another. 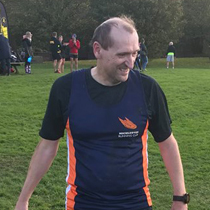 There are a wide variety of abilities in our running club, and I’m certainly not one of the pace-setters, but I have very much enjoyed getting to know people and have certainly made progress over the past year in terms of my pace and endurance – not that I am at all competitive! Hi folks! Like many, I enjoyed sport as a kid but it was swimming was my main sport which later on led me to triathlons for a period of time. I only really started running as my main sport/enjoyment back in 2006 as a way of dealing with my stress and giving me the opportunity of ‘my time’ away from the family issues. 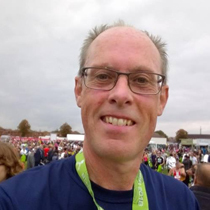 What followed was a road trip down the lanes in and around Heatherton, Littleover and beyond which has now allowed me to run in over 25 half marathons and 8 marathons, with more in the pipeline. It was while I was running in the Lichfield Half that I spotted a MRC shirt and spoke to the guy for a few details, and within a month joined up to this small, but wonderful club. For my sins, I am the Men’s Cross Country Captain, and along with Vicki, we try and ensure members are aware of these events and get a team together to count in the new Derby Runner Cross Country Mini League (for Derbys/Staffs area). Running can be a very individual sport, but with a club like Mickleover, it offers support, help and friendship to make those dark days in the winter so much more enjoyable. So why not come down and meet us.